WE OPEN THE DOOR TO A SAFE SPACE and help LGBTQ+ youth find a place to be themselves. 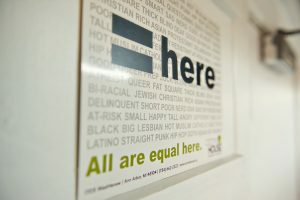 All Ozone House doors are open to Lesbian, Gay, Bisexual, Transgender, and Questioning youth. Do you identify as lesbian, gay, bisexual, transgender, queer, questioning, intersex, or ally? Need counseling, housing, or other support? Are you seeking a fun, safe space to talk about queer issues? 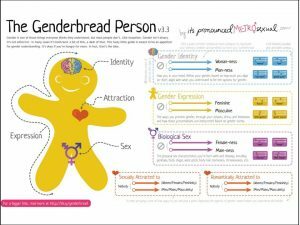 Are you interested in hanging out with other people that identify as LGBTQ+? All Ozone House services are safe for ALL youth, regardless of sexual orientation, gender identity or expression. 1. We saw an upsurge in the number of LGBTQ+ youth who sought refuge at PrideZone, our LGBTQ+ support group, and we were proud to be able to serve them. The largest number joined us in November. 2. PrideZone sent cards of condolence and hope to the Pulse nightclub this summer, and received a beautiful note of thanks from Pulse in return! 3. A group of LGBTQ dental students from the University of Michigan joined PrideZone to talk about navigating issues of gender identity and sexual orientation in the workplace. We appreciate their leadership and support! 4. On November 13th, we were grateful to be a part of “As We Go On: Queer Story.” A rare occasion of true stories told live. This is not just a show. It’s a community. The proceeds from the show benefited Ozone House, and our partners The Corner Health Center and Neutral Zone. The moving event prompted this note of thanks on our FB Page: “Amazing!!! Just amazing. The courage, trust, honesty and talent displayed today was inspiring, heartbreaking and hilarious. Thanks for trusting us with your stories.” On the heels of the presidential election which stirred up fear and uncertainty in the LGBTQ+ community, the event was an important reminder that we are here; we are going on, and we will keep going on for LGBTQ+ youth who need safety, housing, and support. If you are interested in getting involved, please email pridezone@ozonehouse.org or call (734) 662-2222. Wondering what all these letters mean? 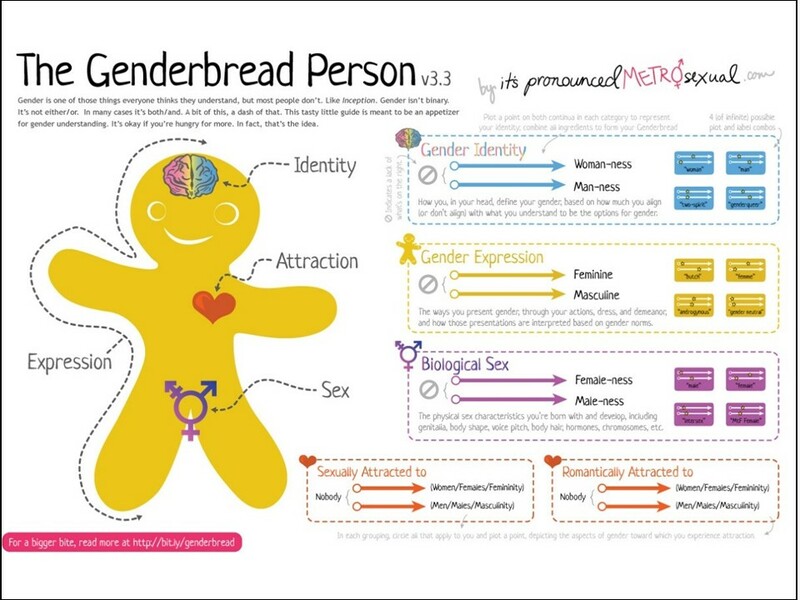 Check out the Genderbread Person diagram for an explanation. I like the fact that I’m treated with respect at Ozone House, and I can get great advice on how to go about achieving my goals.